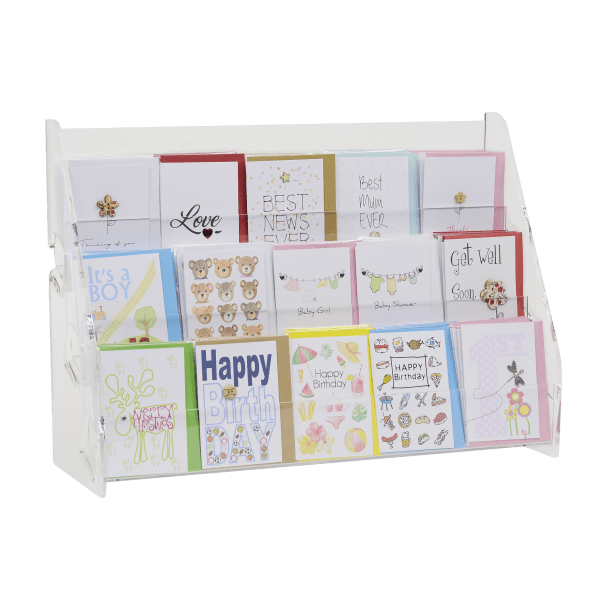 Need somewhere to display your new cards? 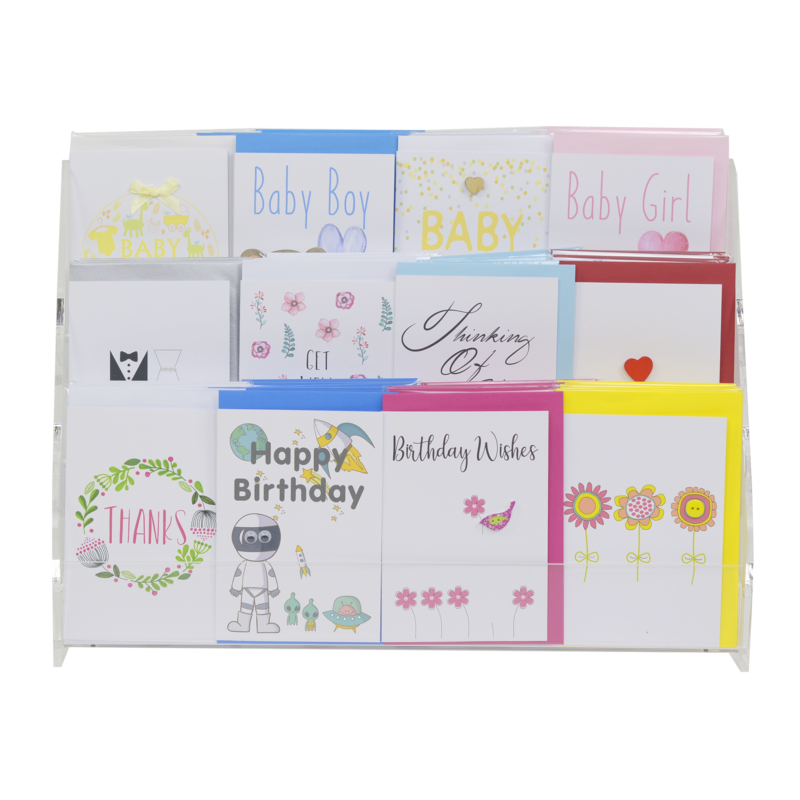 Click the photos to see how the Gift & Greeting Cards are displayed. This 3 tiered Perspex card stand holds 15 different Gift Card designs or 12 different Greeting Card designs. For package deals including cards please view our Starter Packs.